This month, Koala climbs his way onto the bookshelves across the country, with the release of a stunning new publication by award-winning non-fiction picture book specialist, Claire Saxby, and one of Australia’s premier illustrators Julie Vivas. It’s time for little Koala to find his own way, now he is growing older. He must leave his mother and the home he has known. Little Koala begins a search for a new eucalypt home, but on the way, he faces challenges and many dangers. From being confronted by a territorial koala, running from a poisonous snake, wandering through a bushfire-ravaged landscape, to battling a night storm, Koala learns independence and eventually finds a new home of his own. 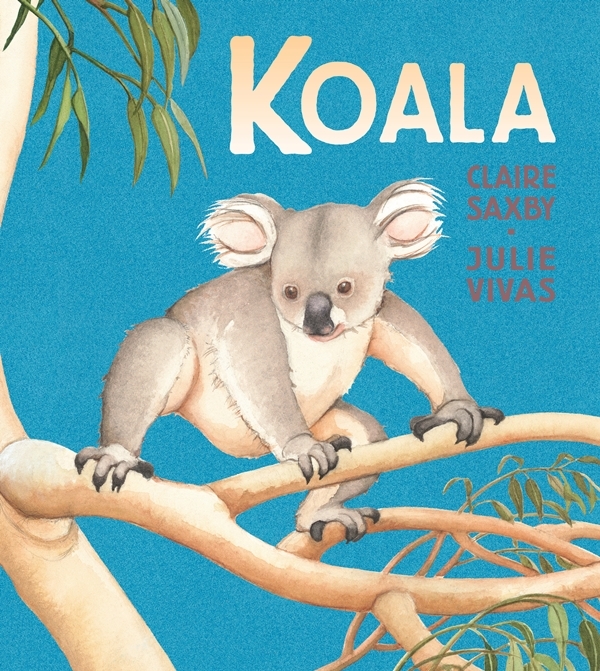 Beautifully written, Claire Saxby combines a heartfelt narrative with factual information about the iconic Australian marsupial, on each page. The text is perfectly matched to Julie Vivas’ distinct and engaging style. The use of soft watercolours offers depth and warmth to every page. Vivas faultlessly portrays the character and emotion of Koala as the story unfolds across a backdrop of beautifully painted night skies and warm days. A gorgeous publication, Koala is sure to be another success as he finds his own way home, right into the hearts of young Australians.